"Engraving is the classic medium through which a creator can express his individuality." Barely a teenager, Milos Ondráček, born in Prague on 15 September 1936, became interested in drawing. He himself attributes this to the fact that the family came from the highland area of Czechoslovakia, where people are known for their artistic skills. Milos’ teacher saw his potential and made his parents send him to the School of Arts and Crafts in Turnov. A little homesick at first, Milos stayed the course and completed his schooling in 1955. Although his education was very much geared towards metal engraving for jewellery, he did have his first encounters with freestyle engraving as well. 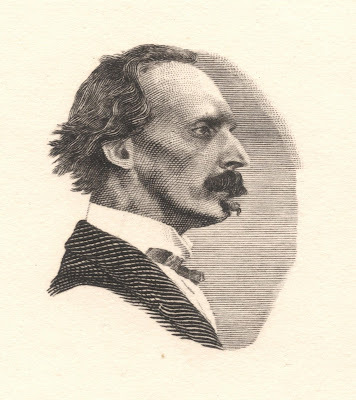 After having completed his military service, Ondráček came to work in the Czech cooperative world, mainly doing industrial engravings. When his former art teacher from Trutnov was advertising for an engraver to work on bank notes at the State Printing Office in Prague, Ondráček took his chance and was taken on board from 1960 onwards. 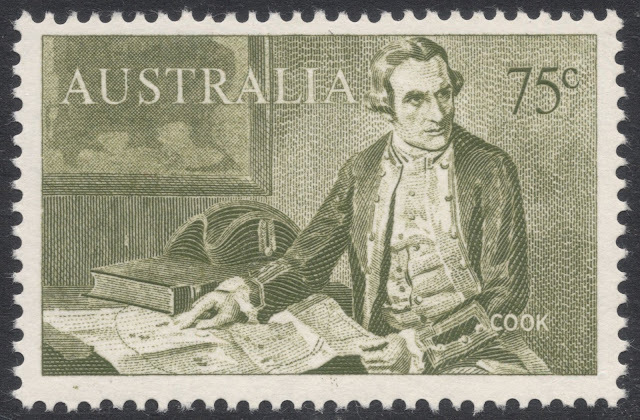 His work on bank notes quite logically extended to an interest in stamp engraving. He took all the necessary steps, joined all the necessary unions and organisations, submitted his work to the relevant ministries, but nothing much happened. It was later suggested that the established engravers Jindra Schmidt and Ladislav Jirka may not have been too keen on getting competition from this new and hugely talented engraver. During those days in the mid 1960s, multi-coloured recess-printing had just become all the rage, and so Ondráček submitted another design based on this printing technique. It was an engraving of the painting “St Jerome” by Master Theodoric. It seemed at first that again nothing would happen, but his design was finally accepted and appeared in the Art series of 1969. 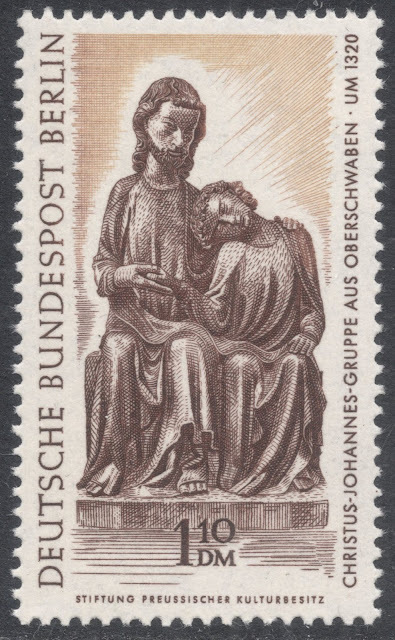 One of his earliest attempts at stamp engraving, dating back to 1967, was also an Art stamp, depicting The Resurrection, by an unknown 14th century artist working for the Master of Vyssi Brod. 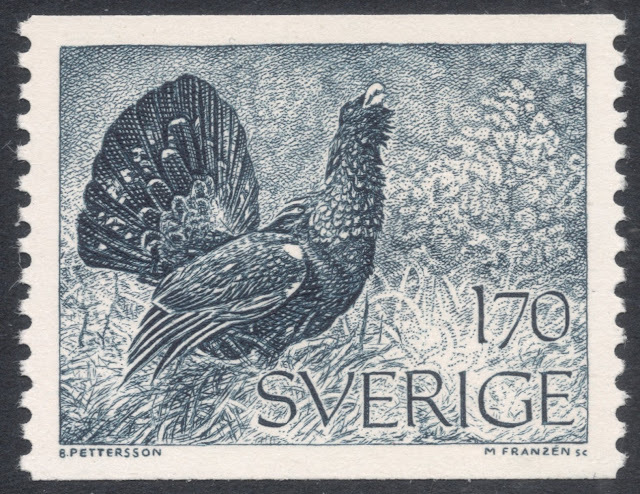 It would finally be issued as part of the annual Art series in 1971. Milos Ondráček never looked back and has since engraved hundreds of stamps, many of which are of his own design. His work is lauded with awards and recognition. 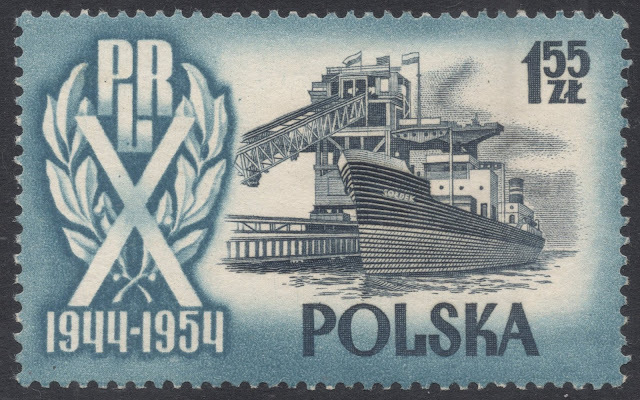 At least five times did the Czechoslovakian Ministry for Communications award him first prize for his stamp and banknote engravings. Internationally, too, his work was noticed and appreciated. 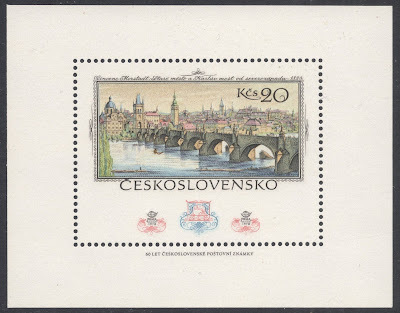 France declared a 1989 Czechoslovakian banknote of his to be the best in the world, and Germany thought likewise of his 1978 stamp depicting Old Prague and the Charles Bridge. International recognition stretched even further when Ondráček was allowed to engrave one of the values for the large “Great Americans” definitive set of the 1980s and 90s, issued in the United States. This was rather an odd commission, though, which was not made easier through the fact that Ondráček had to work with a middle man who had trouble supplying Ondráček with the needed specifications. In the end, Ondráček had to contact a philatelist collecting USA to be able to take measurements for the stamp engraving. 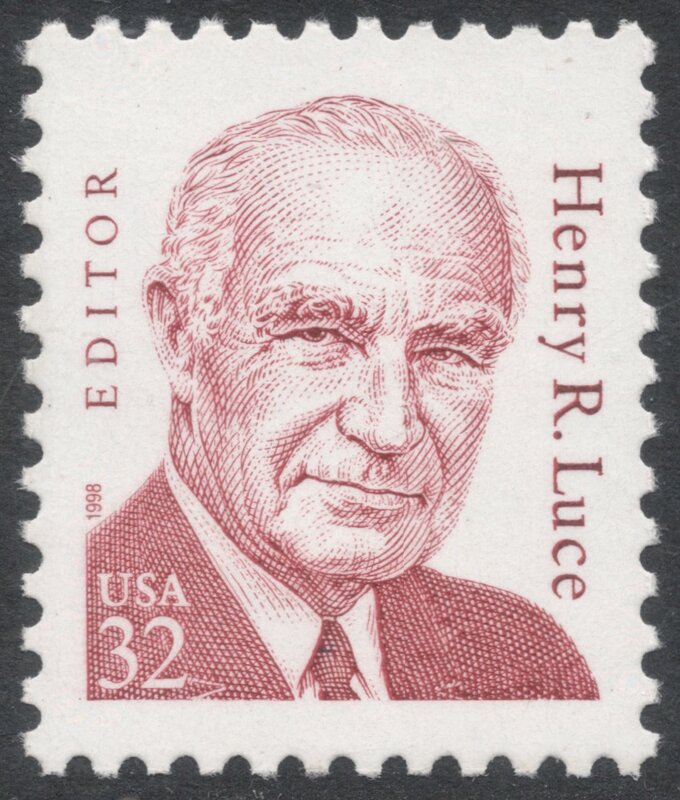 When the stamp, the 32c portraying Henry Luce, was finally issued, in 1990, Ondráček only came to see it when a collector asked him to sign it for him! On the whole, though, Ondráček only engraved for his home country. On the banknote side, he was responsible for the engravings on the majority of the banknotes ever issued in the Czech Republic. On the portrait of Komensky on the 200 korun banknote issued in 1996, Ondráček managed to hide his initials MO in a curl of the man’s beard, being one of the very few banknote engravers who ever got away with that. During his career, Ondráček had the opportunity to engrave stamp portraits of three different presidents of his country. These were three rather varying experiences, with the stamp for President Vaclav Klaus being the hardest one to realise. To start with, the photographic material supplied for the design was not very helpful and a number of essays, submitted by Ondráček and another designer, were dismissed. Eventually a new essay, not by Ondráček, was chosen and Ondráček got to engrave it. 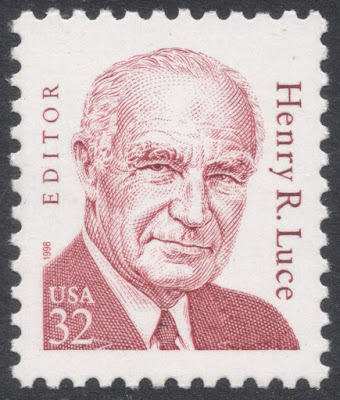 This stamp was introduced in 2003. 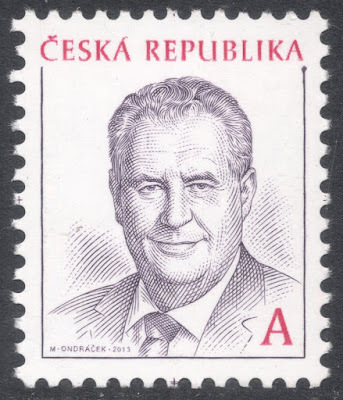 Ondráček therefore dreaded the assignment of the definitive stamp for the following and current president, Miloš Zeman, but that proved to be an allround easier project. The photographic material was much better, and Zeman was easy to work with, admiring all Ondráček’s work. 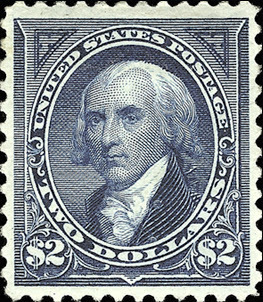 This stamp was introduced in 2013. But the presidential definitive Ondráček enjoyed engraving most was the 1990 stamp for Vaclav Havel, the Czech writer and dissident who was instrumental in bringing down Communist rule in Czechoslovakia. As he has said himself, he felt influenced by the time and ongoing events, like everyone else in Czechoslovakia at that time. So even the fact that he never met the president, or the outdated photographic material available to him, couldn’t dampen his spirit. The Czechoslovakian publication ‘Mlada Fronta’ has held annual stamp polls since the 1960s, and for a long time, they issued special souvenir sheets designed to compliment the winner in the ‘Best Stamp’ category. These souvenir sheets are engraved as well, often by the same engraver of the winning stamp. Ondráček has engraved quite a few of these, which form a nice sideline collection of his work. More importantly on an artistic level, though, was a new category ‘Engraver’s Best Interpretation of a Work of Art’, introduced in 1970, which, as the name suggests, focuses solely on the engraver’s skills. Again, we find Ondráček’s stamps included quite a few times, from 1974 onwards, when he won it for his Hero and Leander tapestry stamp. Ondráček is normally not one to point out his own favourite stamp engravings, preferring to look ahead rather than back, but on occasion he has mentioned a few he’s rather pleased with, such as the 2000 miniature sheet marking President Masaryk’s 150th birthday. 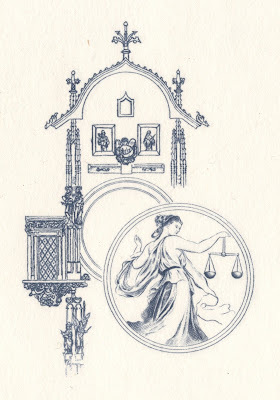 The design of this sheet was by Oldřich Kulhánek, a designer Ondráček had a close professional partnership with for over two decades, from the early 1990s to Kulhánek’s demise in 2013. 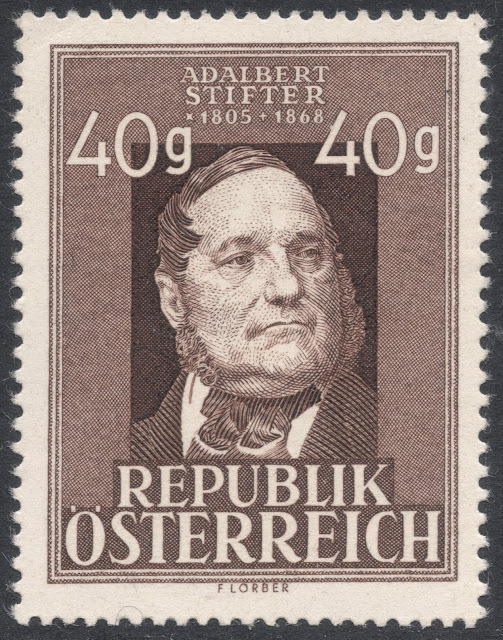 In general, though, Ondráček is mostly pleased with his art stamps. A large part of Ondráček’s work consists of these stamps depicting artwork, issued in the annual “Art” series of Czechoslovakia, and now the Czech Republic. A collection of those alone would not only be a splendid celebration of art, but also of Ondráček’s art. The art stamps often form quite a challenge though. Not only does a work of art need to be reduced in size enormously, without losing its characteristics, but there’s the added problem of only having available a limited number of colours. The challenge is therefore to use several layers of engravings so that the five or six hues end up being a dazzling spectrum of colours. The process was explained visually quite brilliantly by the Czech Post in 2016, after yet another of Ondráček’s stamps received critical acclaim, both at home and abroad. 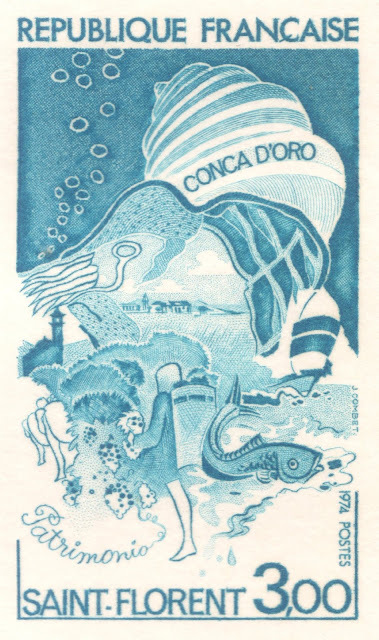 Among other awards, it won in the ‘Best Intaglio Stamp’ category of the polls held biannually by the Government Postage Stamp Printers’ Association. The stamp in question was a depiction of Hans von Aachen’s ‘Head of a Woman’, for the Prague Castle issue of 2015, another annual series showcasing the Czech Republic’s many fine items from their art collections. 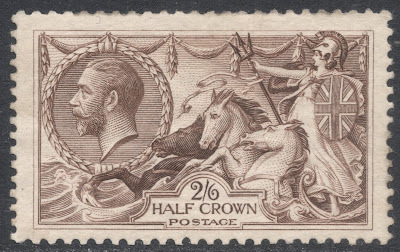 A special folder was produced which held printings from all the different plates that had to be produced in order to create this multicoloured, fully engraved philatelic masterpiece. The whole printing process is done by hand, making it an enormously time-consuming process, but the end result is of such quality that it is definitely worth it. 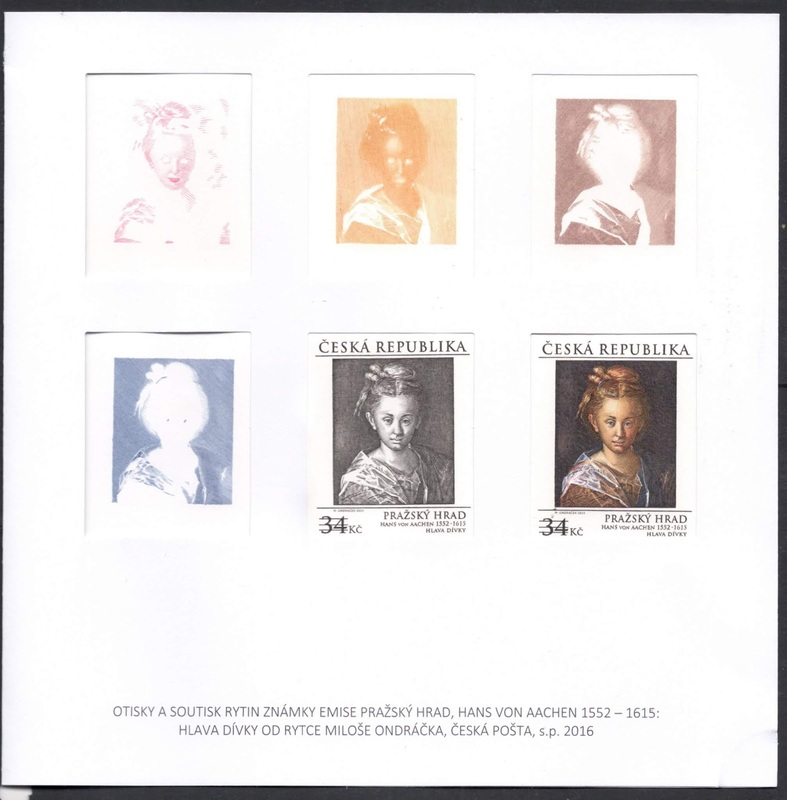 This was the second time one of Ondráček's stamps was chosen for these special brochures. His Zavis Cross stamp of 2013 was the first to be treated in this way, and in 2018, his Francesco da Ponte stamp in the annual Prague Castle series was included in such a brochure. 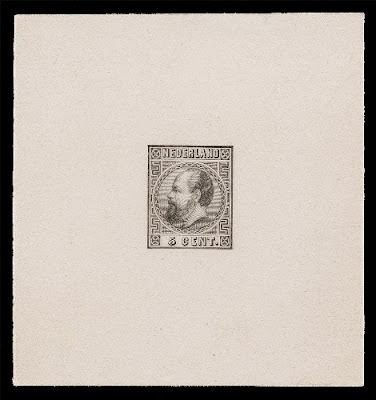 When first starting out to reproduce such works of art on stamps, Ondráček used to stand in front of the actual paintings for weeks on end, trying to memorize every bit of the painting and figuring out a way to reproduce this on stamp format. 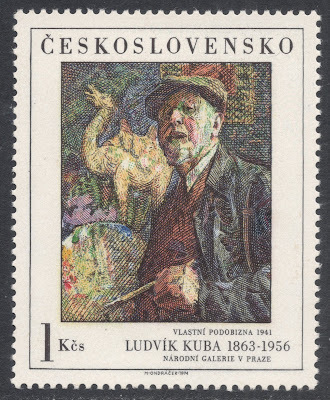 He remembers especially the 1974 stamp depicting Ludvik Kuba’s self-portrait. He thought the impressionist painting so hard to interpret that he even initially declined the commission. In the end, he did persevere though, and was rather satisfied with the end result as well. 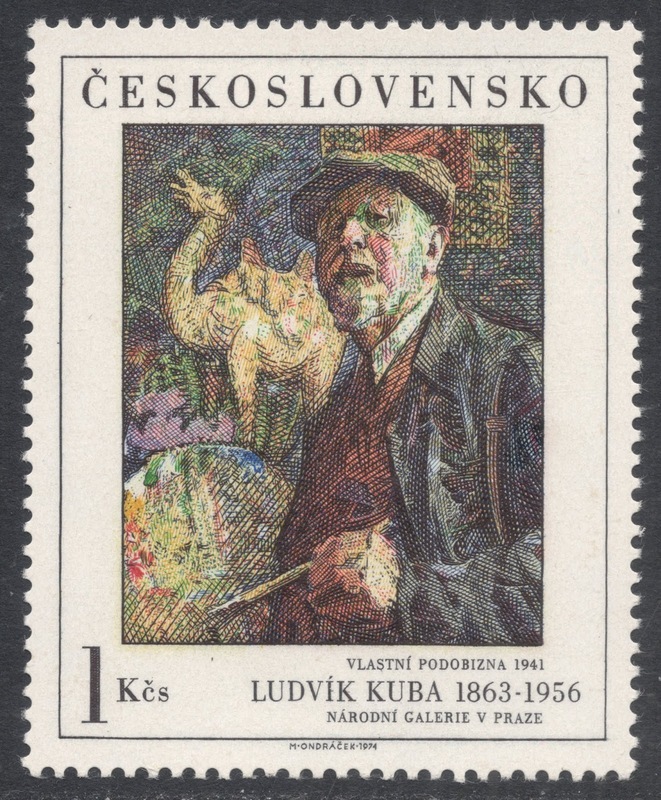 When Ondráček turned eighty, the Czech Post organised a special exposition of his art work, featuring his Art and Prague Castle stamps, including his essays, designs, proofs and all other philatelically interesting material. Having reached the age of eighty by now, Ondráček still designs and engraves stamps. Although sad about the decline of the hand-engraved stamp in the world, Ondráček is happy that in his country at least, the art is still alive and cared for to a very high professional degree. You will find Milos Ondracek's database HERE.